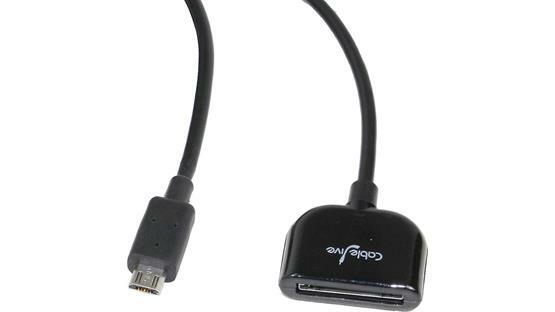 A single cable connects Samsung Galaxy devices to the world of 30-pin iPod and iPhone docks. Plug in. Charge. Play music. Wow, think of the options. One cable connects Samsung Galaxy to a new world of 30-pin audio docks. Does your car have an old Apple dock? samDock works in the car too. Plug in. Play music. Charge. Sync. It's as simple as 30-pin to Micro-USB. samDock delivers a charge connection with high quality sound transfer to many 30-pin iPod or iPhone audio docks. Plug and play with many speaker docks designed to work with Apple devices, including complete access to your Galaxy's features, while charging and listening to high quality audio. Don't settle. Have it all. You chose Samsung. Now you can choose from a whole new world of dock systems. 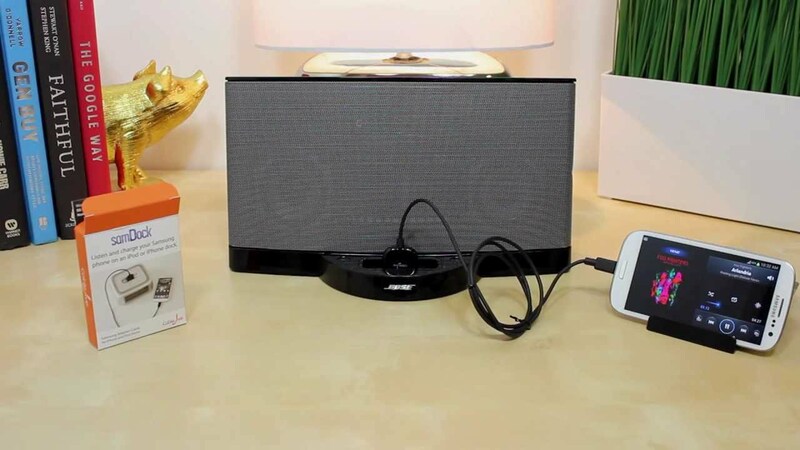 Looking for an alarm clock charge station or a great speaker for your home or office? That's up to you. We make sure your Galaxy plays high quality audio, while charging. Freedom and control. Feels good, right? Also, any systems that link to sophisticated Navigation units, or ones that "lock" the screens of connected iPod devices and force control through the car-installed system only. For more on that, read our post here. "Series I" SoundDock systems with Serial Numbers typically starting in: "0357" or "0402"
If your specific system is not listed above, the samDock should work for you. However, we cannot possibly test for all systems. If you have any trouble with your samDock, or if you'd like to check specific compatibility with your system before you buy, contact our support team.